Step outside the city and a different world unfolds. Cheers to Japan’s great outdoors. A morning’s commute (a 100-minute bullet train ride and another hour’s drive) leaves behind Tokyo’s overpacked humanity to the scenic resort town of Hakuba. 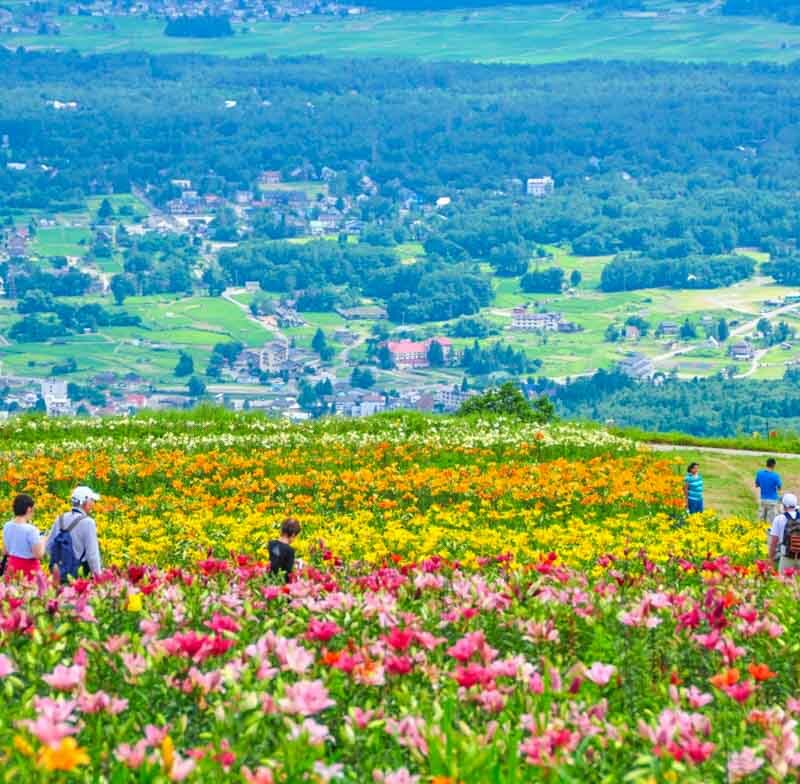 It was the 1998 Winter Olympic Games in Nagano that put Hakuba Valley on the map as a world-famous ski town, while summer is its peak season for outdoor and nature lovers, who come to enjoy the crisp mountain breeze and invigorating outdoor adventures. 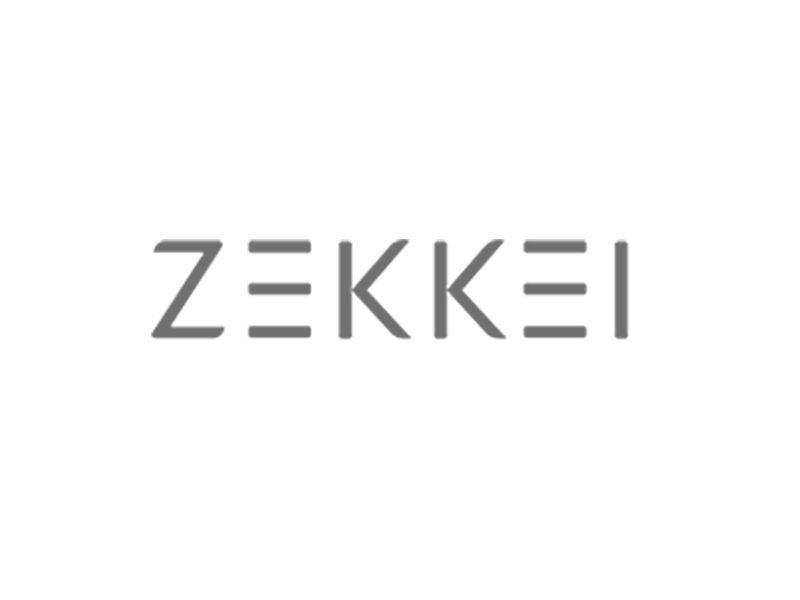 Hakuba’s summer roster is filled with exciting outdoor activities against a pristine nature backdrop. 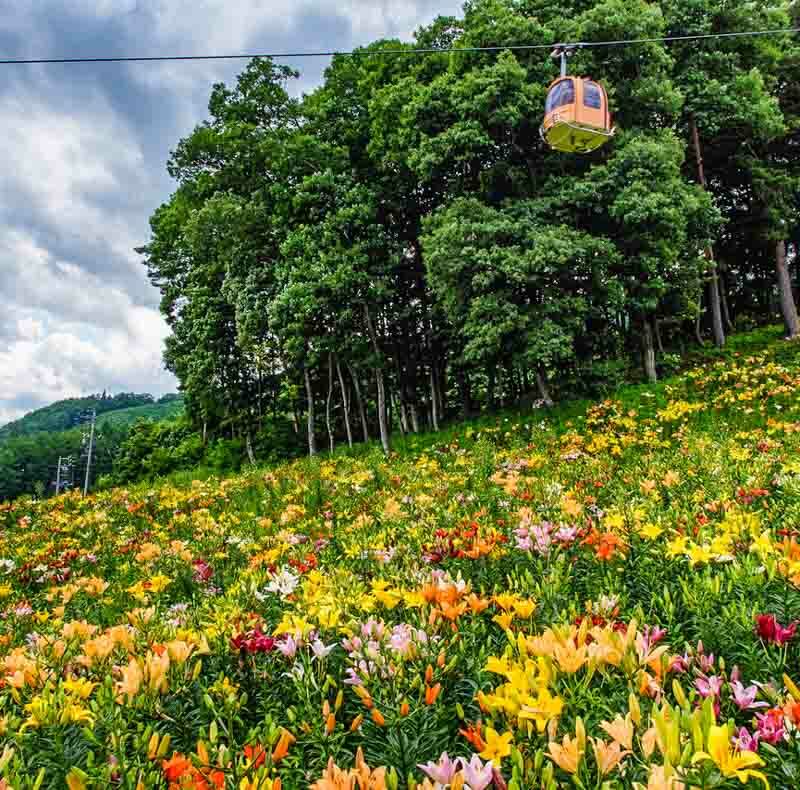 You can take a chairlift up to a peak for the incredible views, then hike the scenic trail down to the base (not before stopping by for a lakeside picnic). 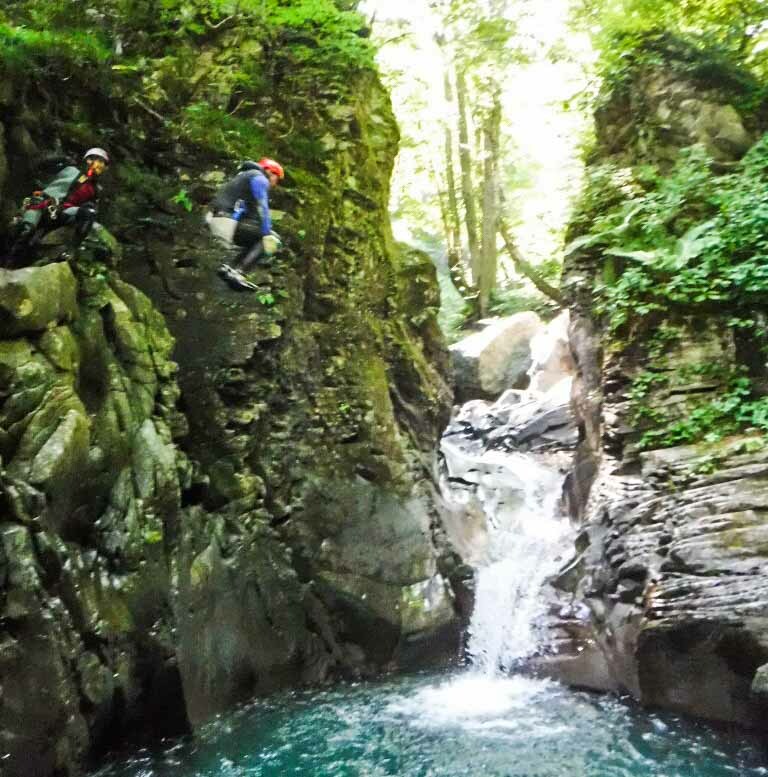 Its zipline courses send riders over hot-spring streams, snow-fed lakes and verdant forests. 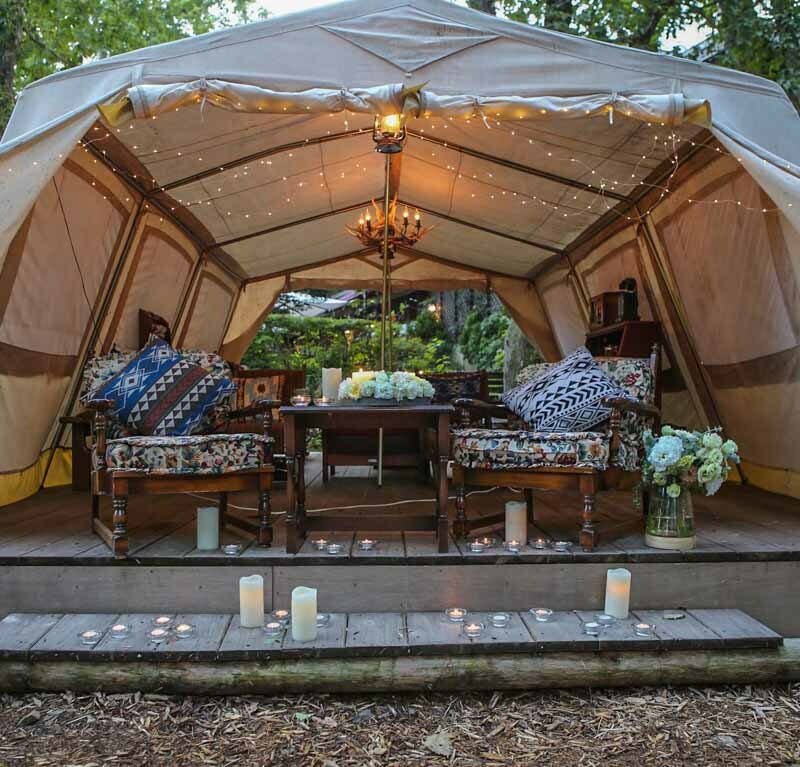 Families can try canoeing, paragliding and even glamping. 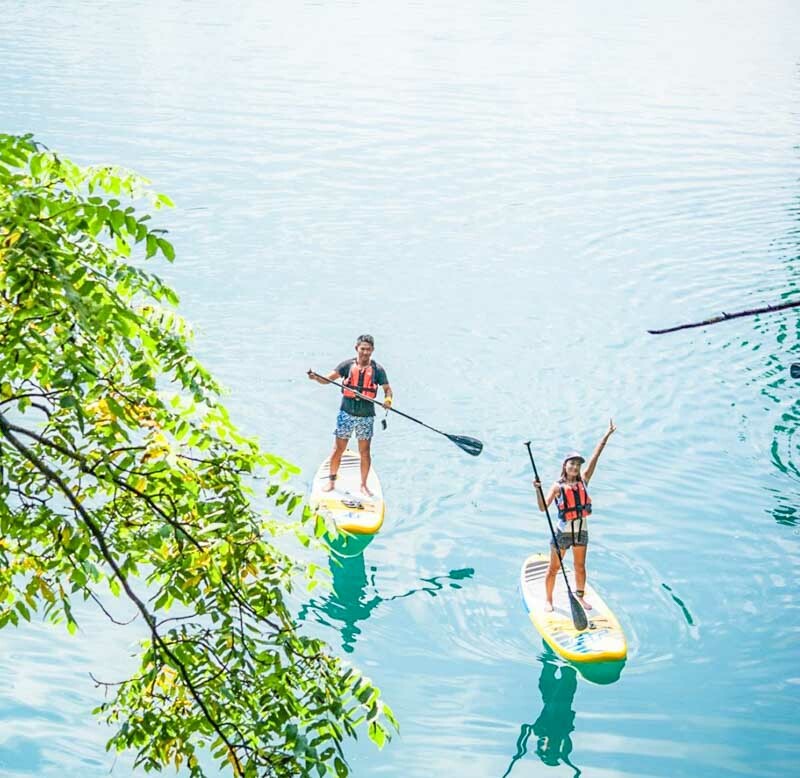 It is a classic case of “Come for the winter, stay for the summer.” Here’s a selection of activities to show just a fraction of the variety. Given how accessible Hakuba’s trails, paths and walkways are, just hiking across the valley amid lakes, rivers and coniferous forests is fun enough. 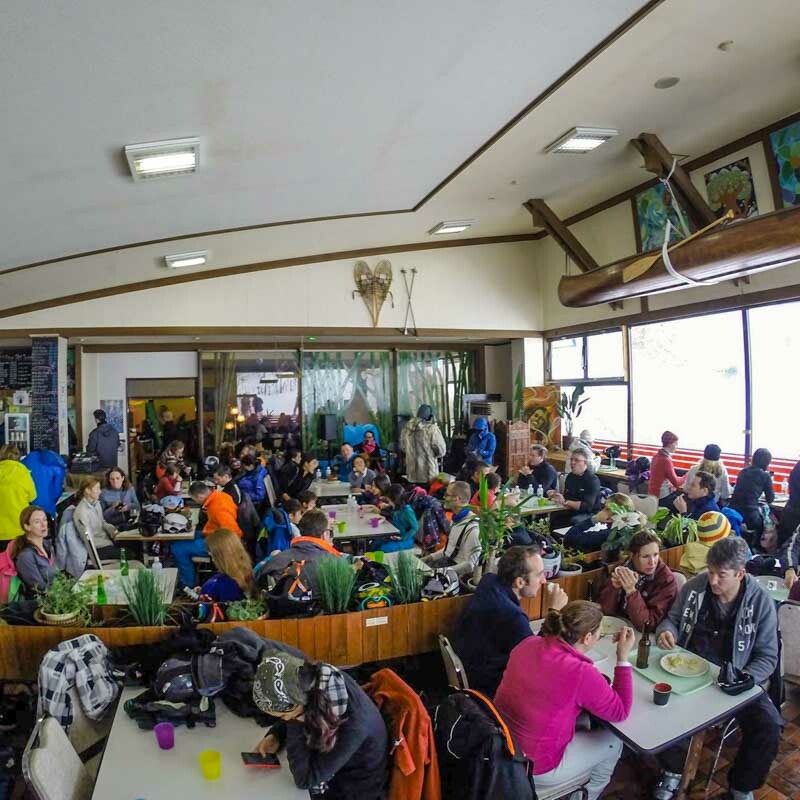 If you are looking for a easy, pleasant full-day adventure, then hop into a chairlift – you can go as high as 1,831m and take a brisk 90-minute hike up to Happo Pond (which is at 2,100m). It is a classic hike that is just the right amount of challenge to fit hikers while also revealing the beauty of the high-Alpine landscape. On a good day with clear blue sky, soft rays light up the 3000m peaks of the mountain reflected in the lake. 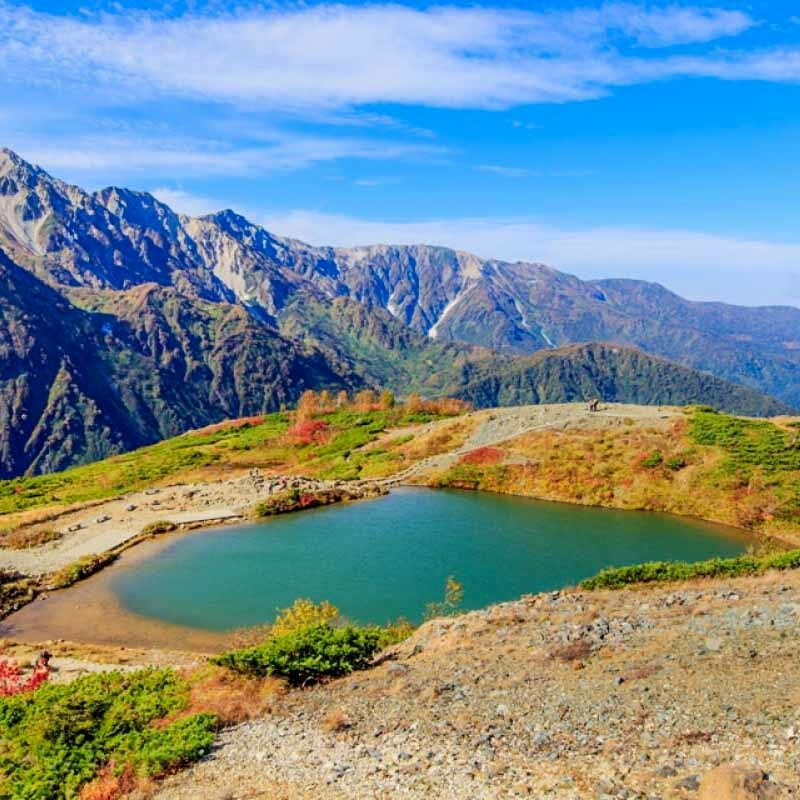 In fact, Happo Pond provides a surreal vantage point across Hakuba Villa and to the majestic peaks of the Alps, including Shirouma Yarigatake, Shakushidake, and Shiroumadake! 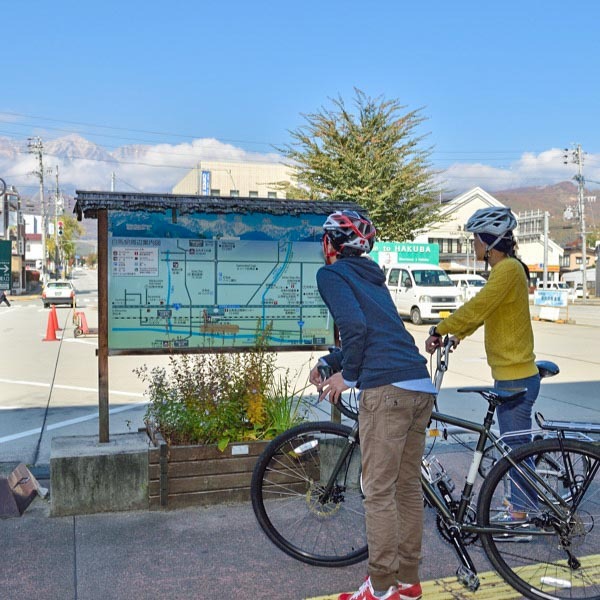 If you are looking to explore different biking routes, Hakuba Cycling has a bunch of practical information and suggested itineraries. 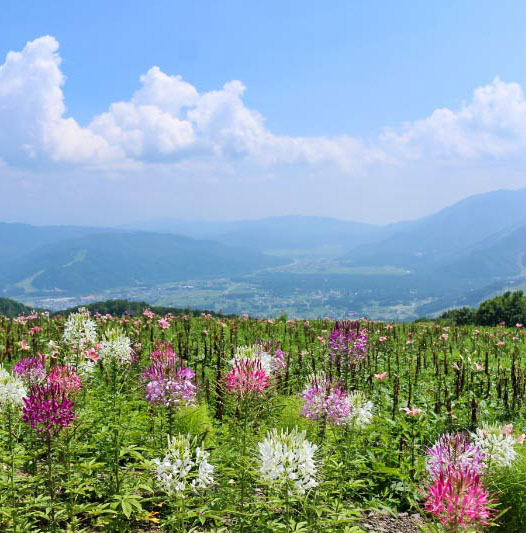 An astonishing variety of flora decorate Hakuba’s unrelenting slopes in through summer. 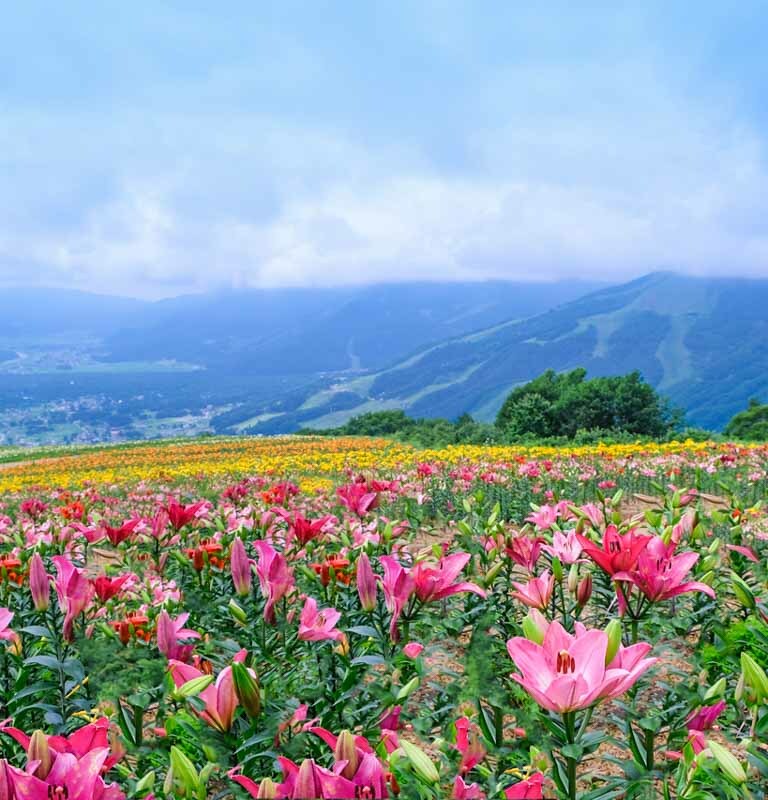 When the flowers are in full bloom, some high mountain valleys in Hakuba are like a Garden of Eden. 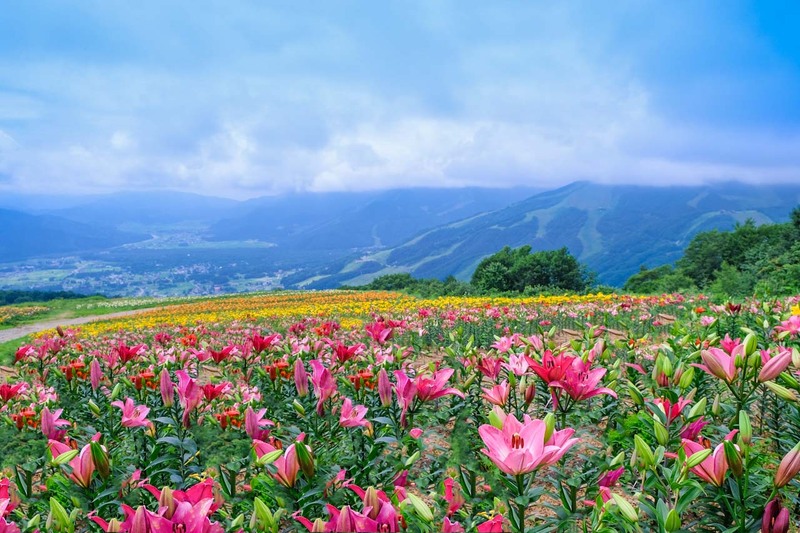 The hilly area surrounding the villages is a good place to find colourful flower fields. 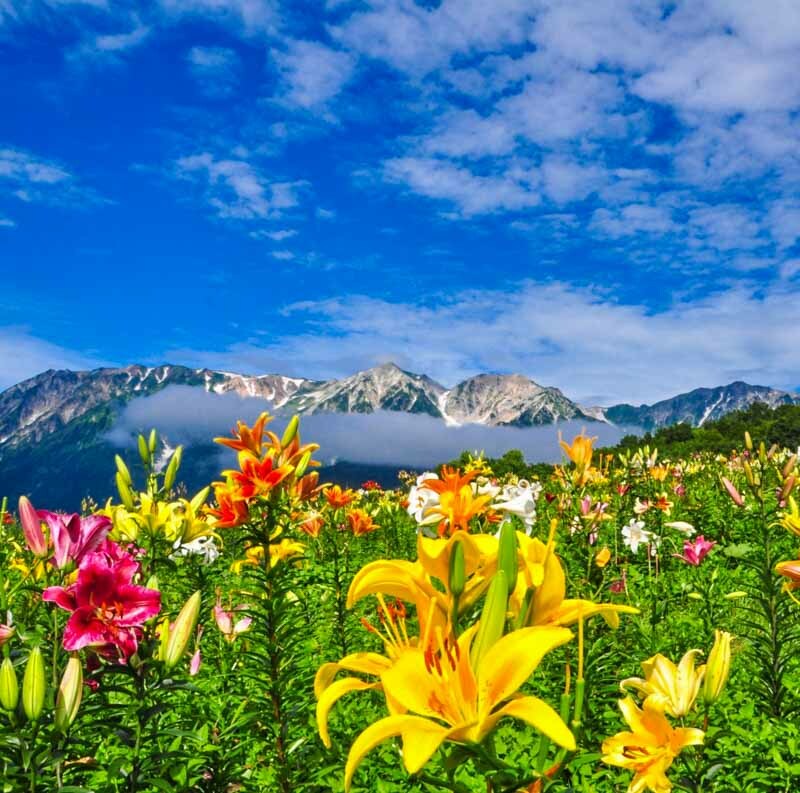 At Iwatake, one of Hakuba’s ski resort known for dramatic alpine views at 1,200m, steep green runs for intermediates are covered in lilies through summer. 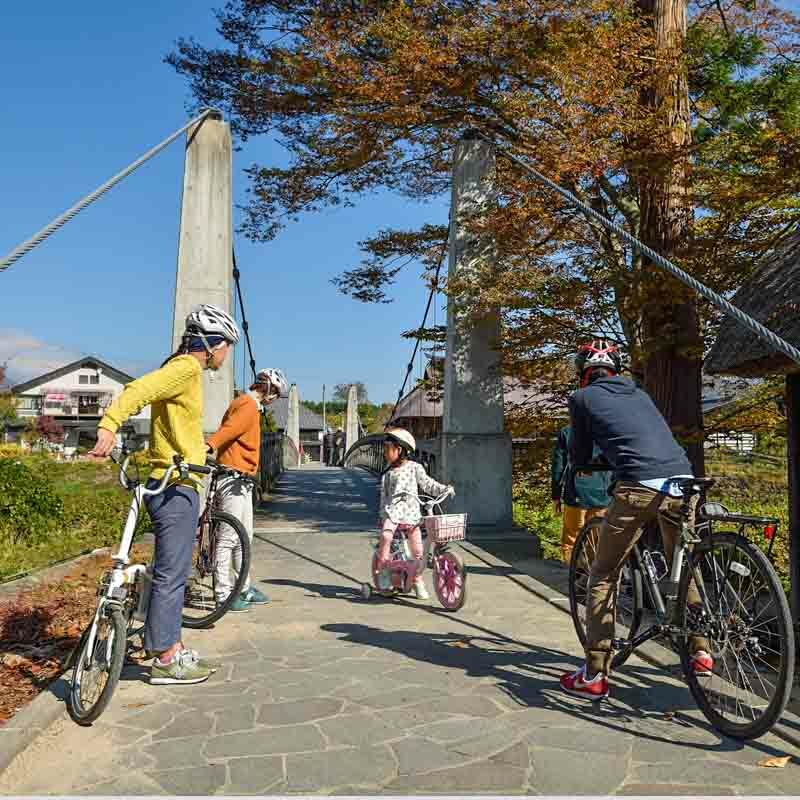 This area is ideal to visit as a day tripper, considering it has recently developed biking trails with plenty of scenic photo opps along the way, like the Hakuba Big Bridge (Matsukawa river bridge), Oide Park known for the traditional houses and great views of Kita-Alps, the famous guesthouse street in Nitta and with the Kannonbara stone. 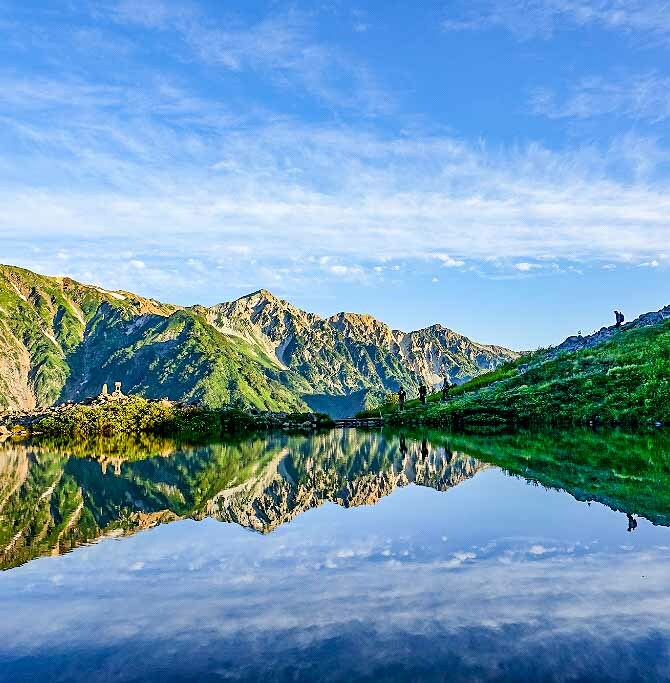 Omachi’s lakes are three natural lakes formed in a line near Hakuba city center, with hot springs nearby. That already sounds like heaven, right? In the summer, the beautiful lakes are alive with greenery. 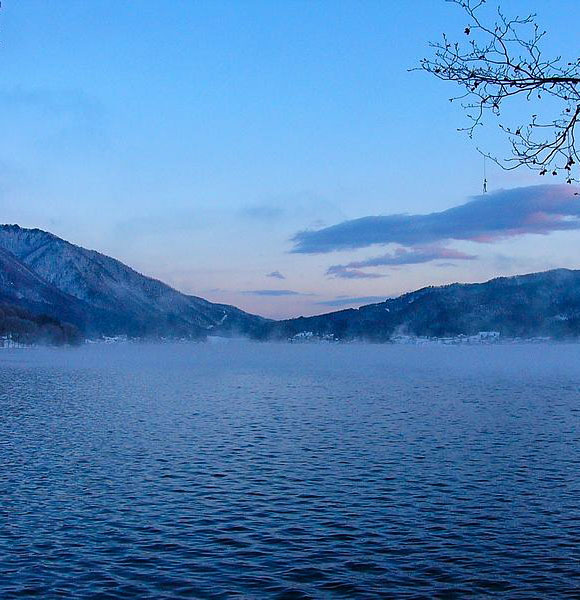 Lake Kizaki is best known for its onsen resort. There is also a pleasant campsite on the lakeside, with canoe, kayak and other boats for rent. 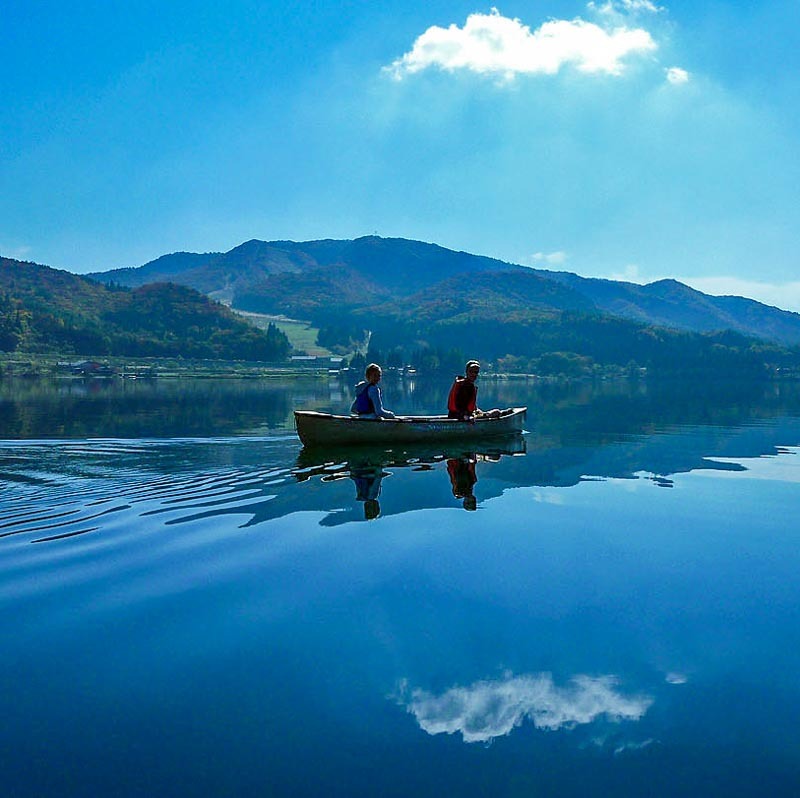 If you want to rig your boat for serious fishing, Lake Nakatsuna is the place to be. 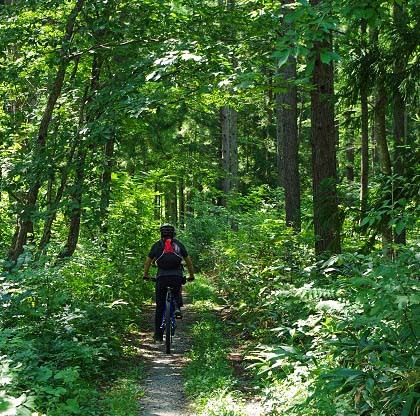 Lake Aoki is a delightful destination for those looking for an active afternoon out in nature. It is the most popular with visitors among the three, perhaps it is the variety of water sports available (Kayaking, canoeing, SUP, rafting, water-skiing and even canyoning… it is essentially a water park for adults and kids alike), or its crystal water from melted snow makes it excellent for swimming. 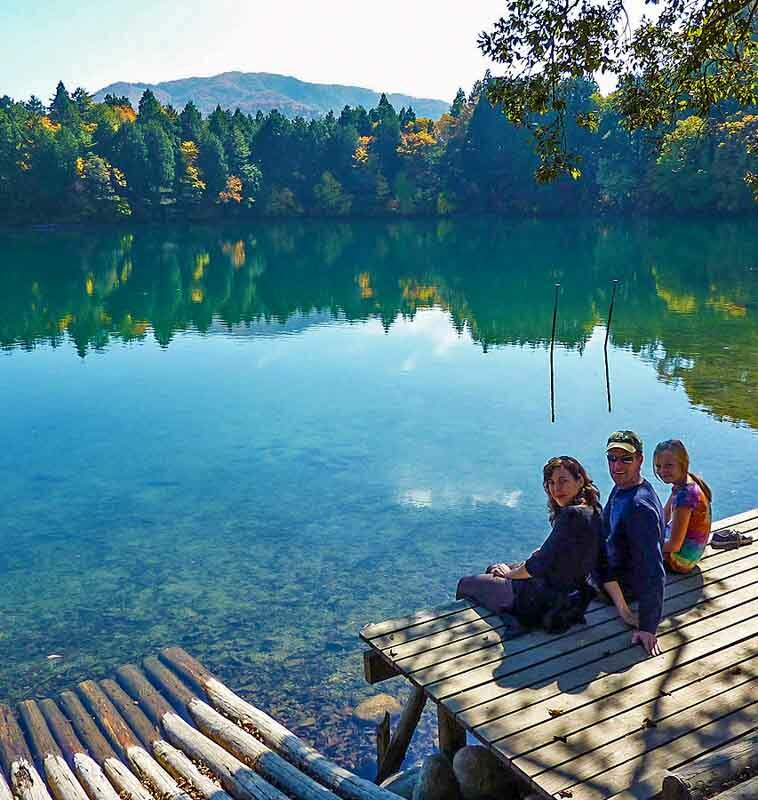 In fact, it is one of the purest lakes in Japan, with water so clear you can see masses of fireflies flickering on a viewing tour in summer. 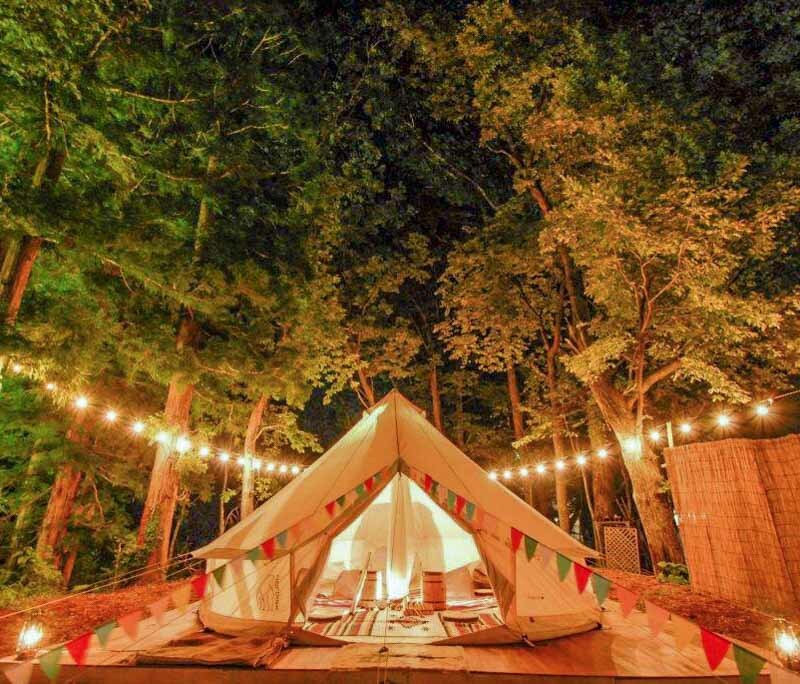 Glamping gives you all the romantic aspects and takes all of the effort out of camping, and the luxurious campsite at Mominoki, a properly westernized hotel between snow peaks, might be the coolest camping vacation you take this year. The owners combine their personal passion for camping and barbecuing next to the English pub at the hotel. 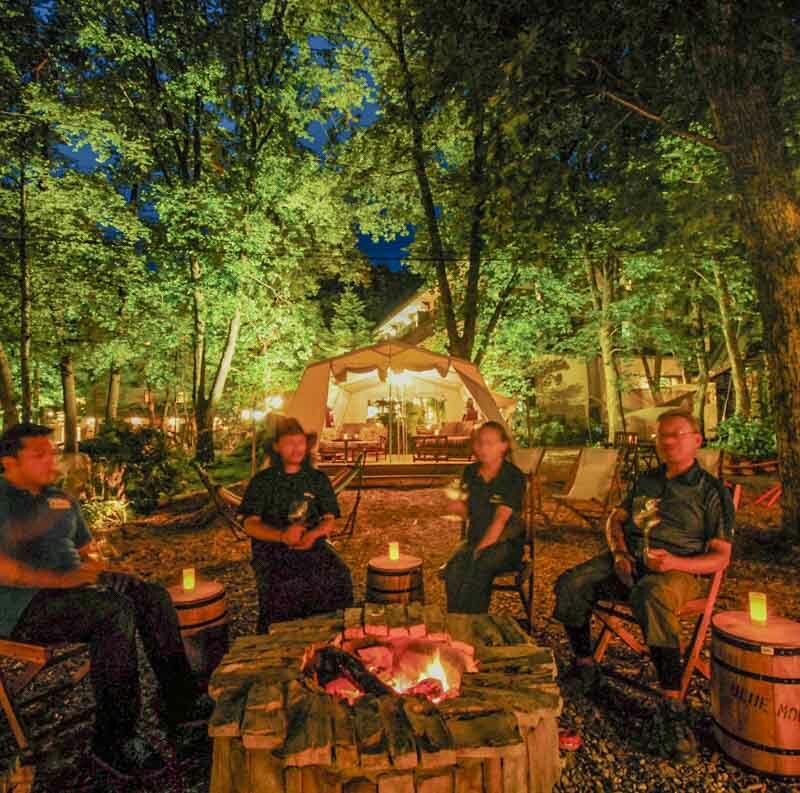 Switch up your routine for a night in nature featuring crisp weather, fire pit, hot tub, live music, and walk up to a cooked breakfast prepared by a chef! But what do you get a craft beer aficionado? 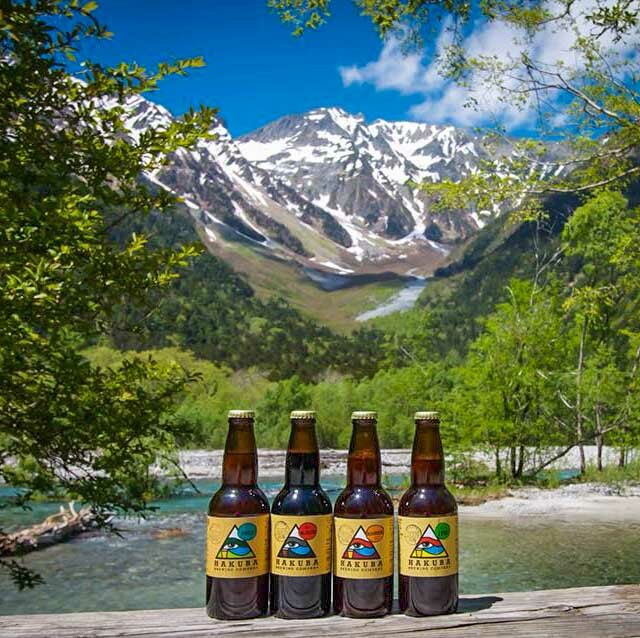 The choice of take-home beers is infinitely better in Hakuba these days, thanks to Hakuba Brewing Company, which creates hand-crafted ales with the area’s natural mountain water. 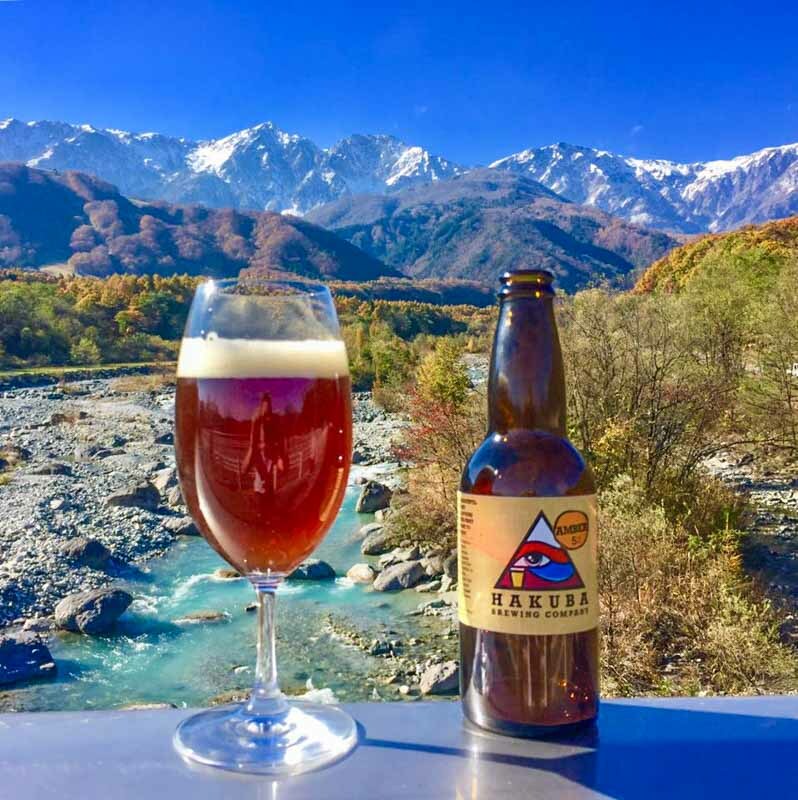 From the lighter Hakuba Pale packed with floral and citrus aromas, to the cacao and coffee-flavored Hakuba Black, beer-loving travelers would be delighted to find locally-inspired drafts stocked in most restaurants and pubs across town. There’s no sugar-coating it—beers can be seriously caloric. 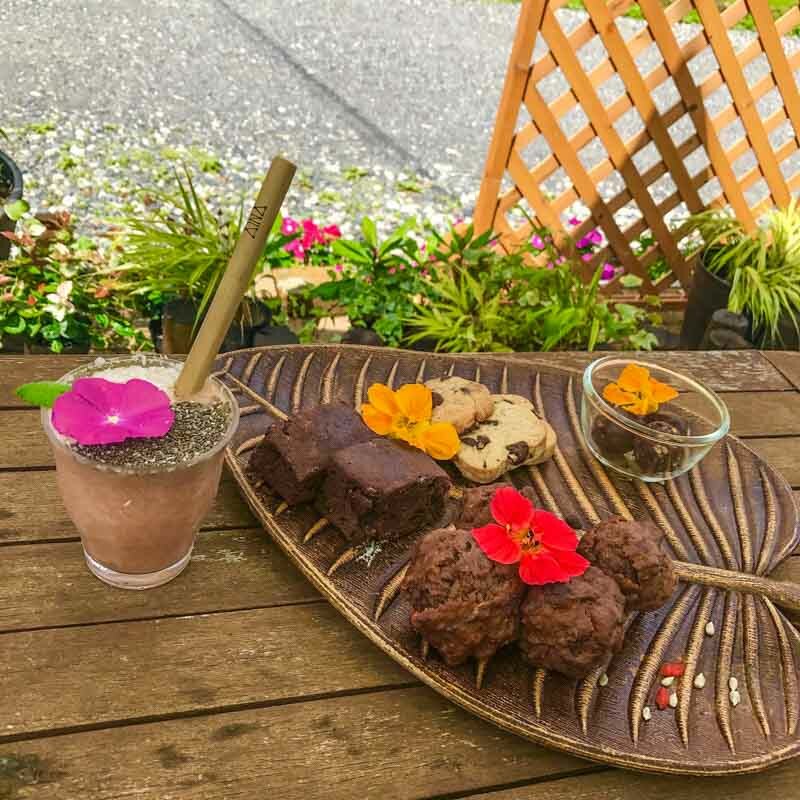 While the Evergreen-run Roots Cafe serves up some of the healthiest fare in town. The place has an air of hipster coolness, maybe it is the live band. 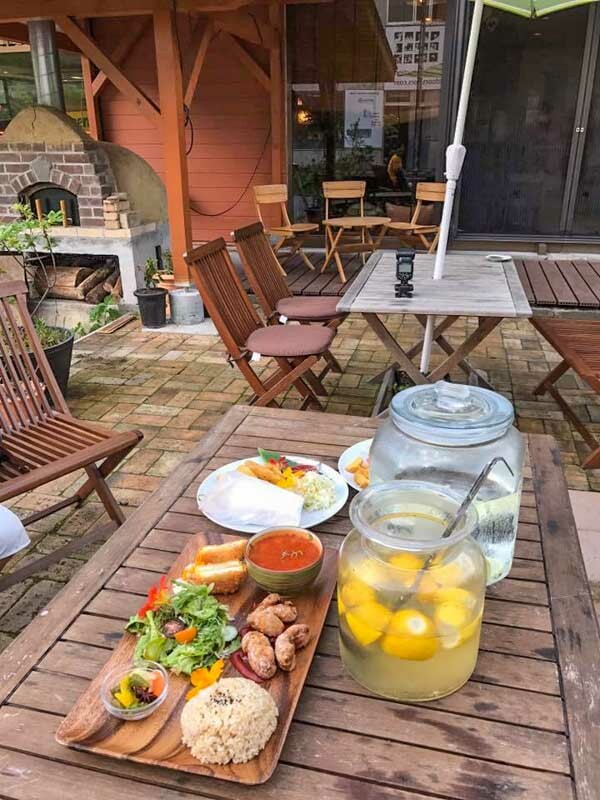 The wood-fired vegetarian pizza, falafel wraps, vegan sweets and fresh smoothies are pretty sufficient for a satisfying and guilt-free brunch.